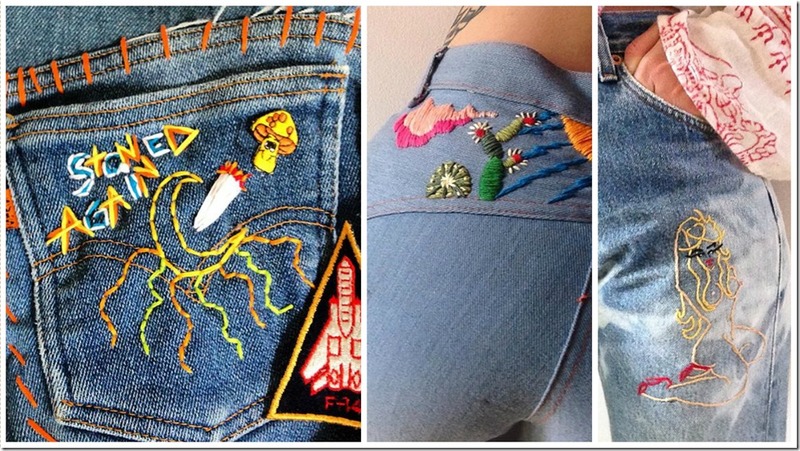 Paris born Marie Sophie Lockhart has earned a spot in showrooms of Browns in London as well as a collaboration with 3×1 denim . And all this has been possible because she has been letting her imagination go wild with different kind of embroidered patterns over different clothing including jeans. 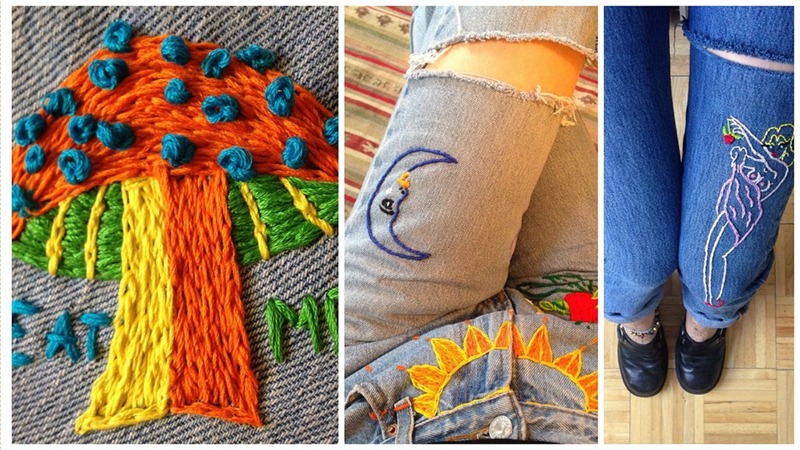 It takes about a day to bring up one jeans with a new embroidery design. 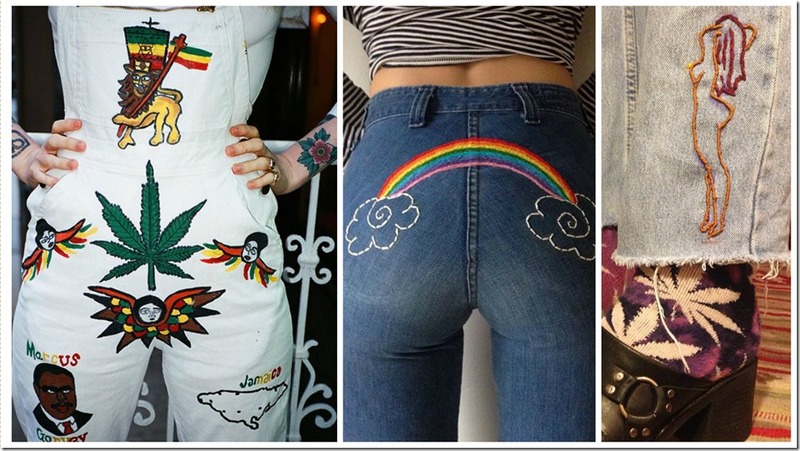 Having a tattoo artist husband does help and gives her inspiration to bring out saucy designs with retro threads. 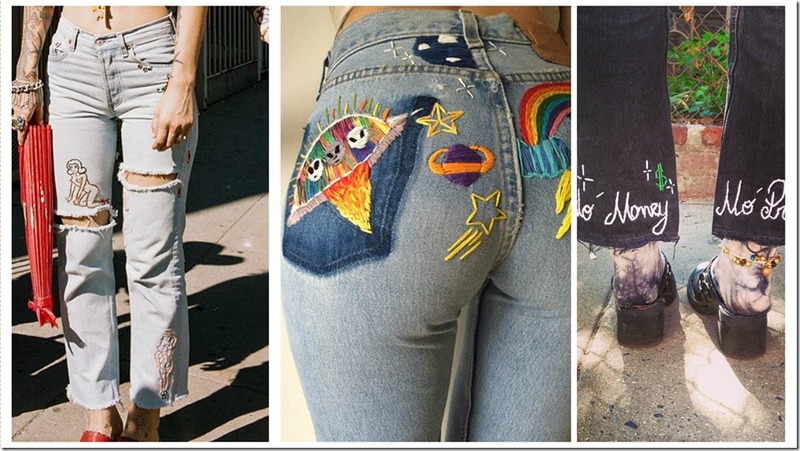 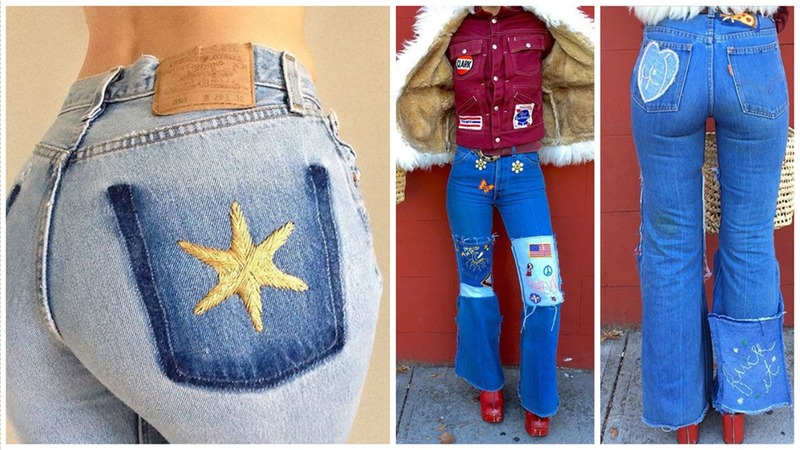 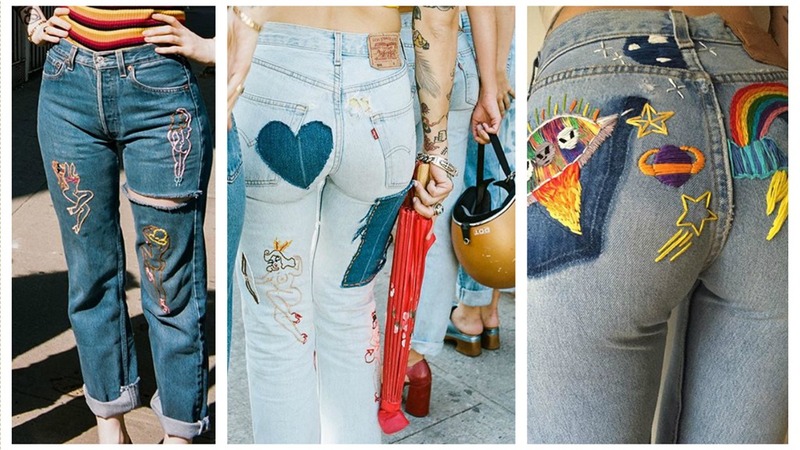 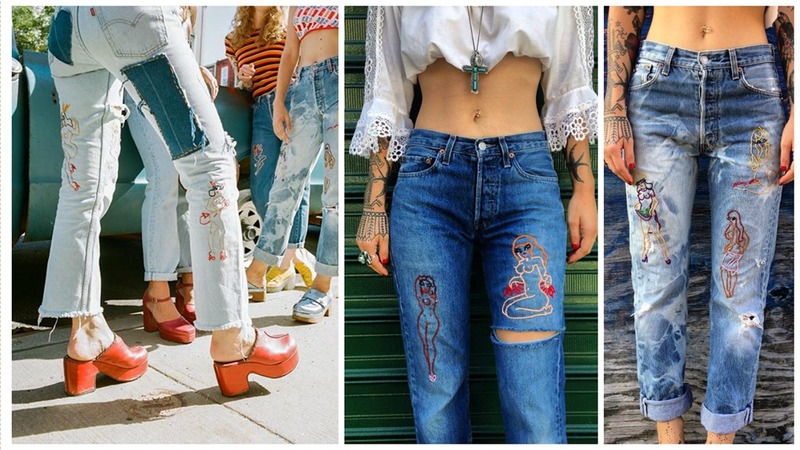 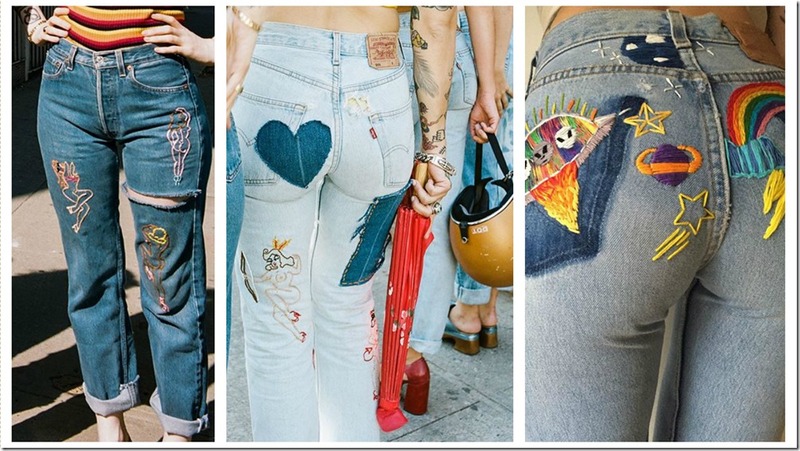 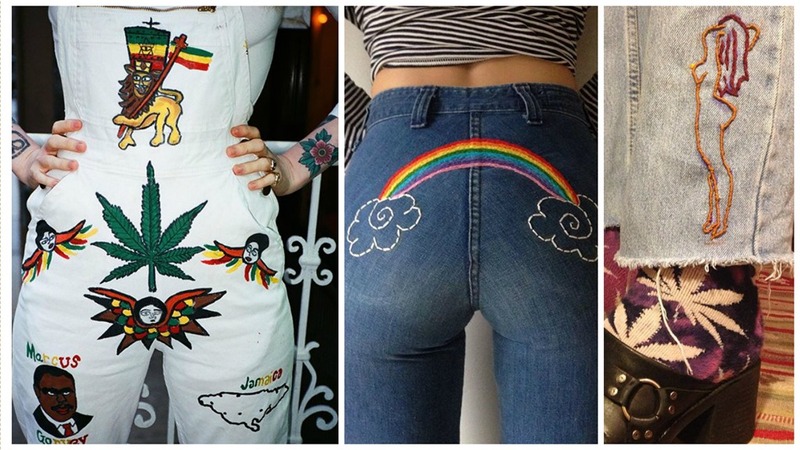 Her designs on jeans includes everything from Rainbows, to Jesus , to personalized and everything that is possible with imagination. 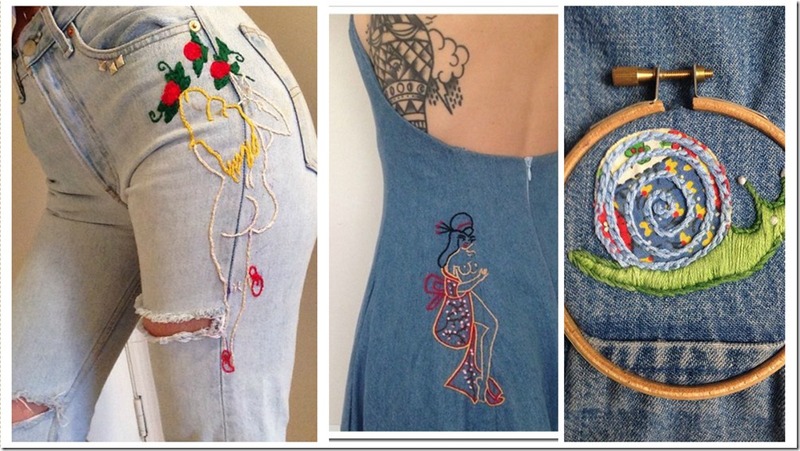 Get inspired with some of her designs below !